Laurence Spelman Rockefeller married Frederick Billings’ granddaughter, Mary French. The two followed in the environmental footsteps of both Marsh and Billings. In 1992, they donated 555 acres and the residential property to the National Park Service. In 1998, Marsh-Billings-Rockefeller National Historical Park opened to the public. Marsh-Billings-Rockefeller National Historical Park is the only national park that focuses on our country’s history of conservation and land stewardship in America. It also serves as a repository for the histories of the three families that are responsible for its existence. Visitors to the park have plenty of options. 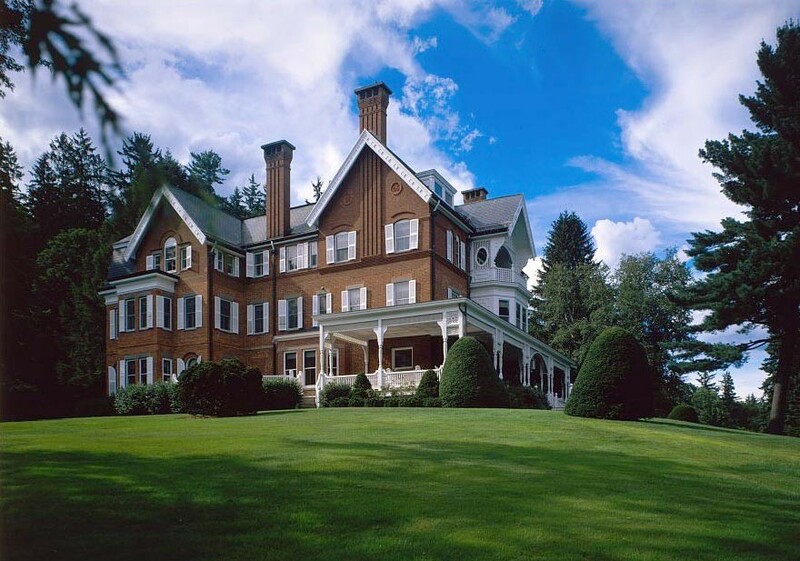 History buffs will enjoy touring the mansion and gardens, learning about the families and their involvement with nature, environmentalism, land conservancy and stewardship. One can also enjoy the events and ranger-led interpretive tours of the park grounds that are available in-season. Hikers, cross-country skiers, and snowshoers will love the park’s 20 miles of trails and carriage roads. Most of the trails are open to horseback riding, as well. Wildlife fans will be happy to hear that the park is home to a diverse range of creatures, including white-tail deer, wood ducks, barred owls, fishers, and painted turtles, to name just a few. Whether you’re a history buff, a nature lover or both, Marsh-Billings-Rockefeller National Historical Park is worth your time to visit! Tours, the visitor’s center, and other services are available from Memorial Day weekend in late May, to October 31st, 10am to 5pm. No matter what brings you to the Woodstock area, you deserve better than some run-of-the-mill hotel or motel for your accommodations. Deer Brook Inn’s historic, 1820’s farmhouse offers you four plush guest rooms and suites to choose from. Our mix of modern comforts and traditional hospitality will help you to make the most of your Vermont vacation. So go ahead: book your stay today at Deer Brook Inn!